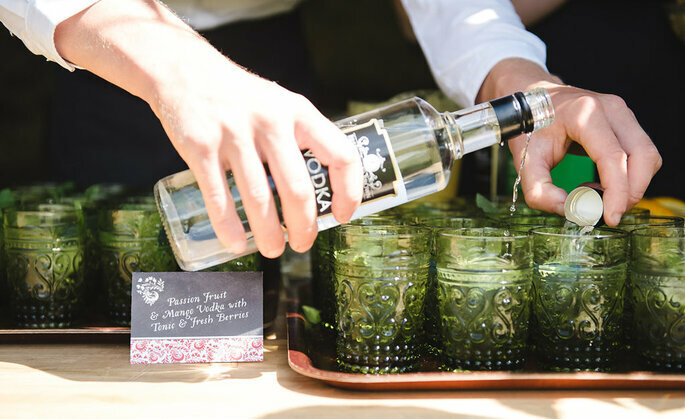 A cocktail wedding reception: Surprise your guests with these unique drink ideas! 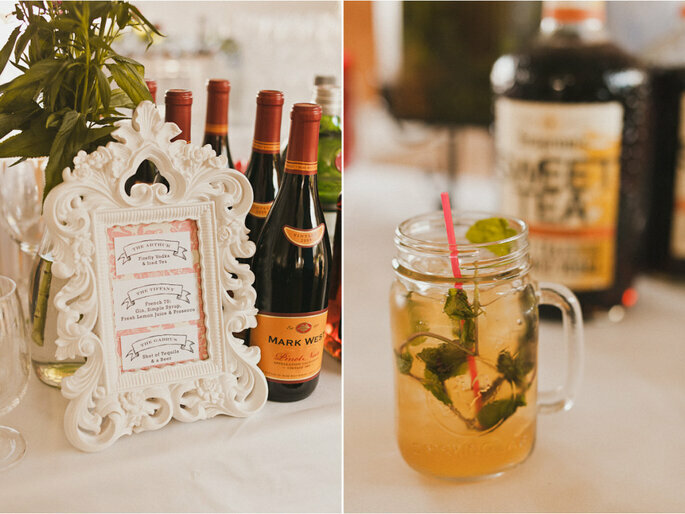 Serve these delicious drinks at your wedding reception to get your guests toasting your marriage in style! You’ve put a heck of a lot of thought into planning each and every detail of your wedding, from your dress to your catering. So why leave out the drinks? Lots of couples now come up with their own cocktails ahead of their big day, perhaps even going with a his and hers approach. Creating your own cocktails can be great fun and add that extra personal touch, but you can also put your own mark on things just by serving drinks that you genuinely love or that have a significance to how you met and who you are as a couple. We’ve put together our favourite refreshing summer cocktails that will work for anyone from the discerning cocktail lover to the staunch beer drinker. The easiest way to get started conjuring up your own cocktails is to add a twist to an existing cocktail. This means you’ll have a tried and tested combo of ingredients of your choosing as a basis. 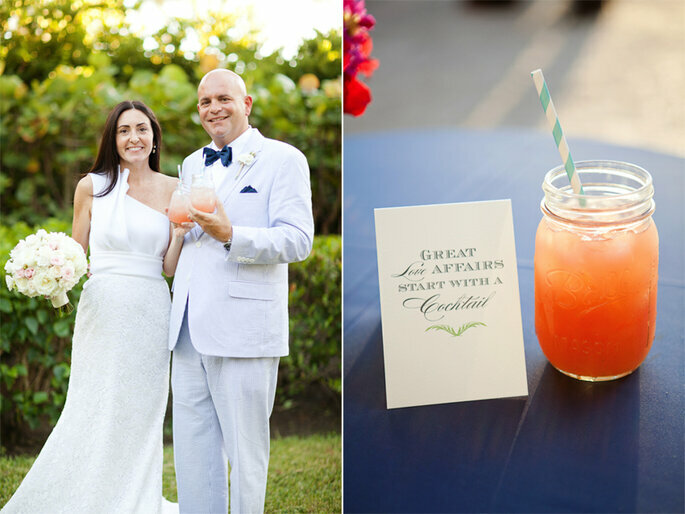 You’ll feel like a skilled mixologist and have a story or two to tell your guests, plus you’ll get to name it! We like the following variant on the Mango Passion Caipiroska. There are lots of different vodka iced tea cocktails out there but the one featured in the pic below is the bees knees. This one is super refreshing, but be careful your wedding guests might forget it’s got booze in! More or less universally loved, this pick also has the benefits of keeping the drinks budget down and being simple to serve all without sacrificing on taste. Diced fruit of your choosing soaked overnight in red wine that not only does not need to be expensive, but really shouldn’t be, topped up with a little orange juice and lemonade, served chilled with ice. 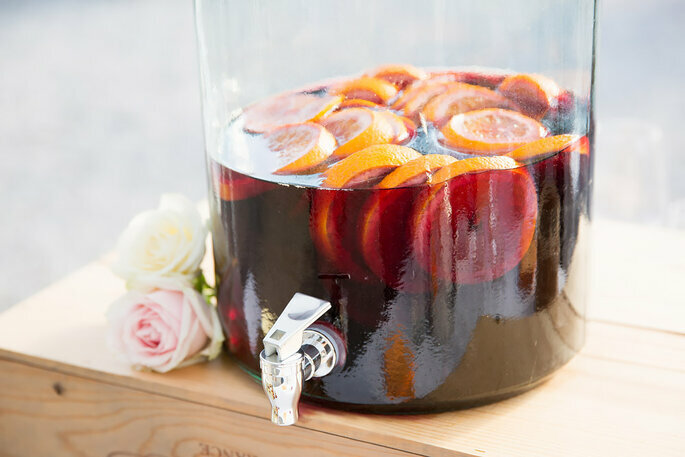 The sight of a jug of sangria screams out summer fun, so keep some large pitchers of this delectable stuff on offer for your guests and they’ll be pleased as punch! Cocktails made with sparkling white wine, be it Champagne, Prosecco or something else, always go down a storm and add a real glam factor to proceedings. 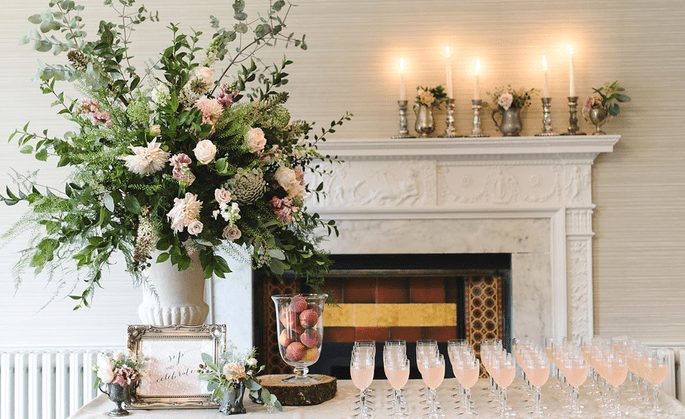 The subtle summery notes of elderflower go beautifully here, all it takes is a couple of simple additions and your glass of bubbly becomes a classy cocktail that will be a surefire hit with guests. With so many non-alcoholic alternatives to Champagne, this is also a good opportunity to offer your non-drinker guests a mocktail version. If you like this idea, why not go all out and offer your guest a chance to create their own? A Bellini bar allows them to choose whatever flavour tickles their fancy. We love the zing that comes from the sweet and sour edge to this cocktail, which somehow tastes seriously peachy despite the inclusion of cranberry juice. This is one of those cocktail recipes that is pure delight. 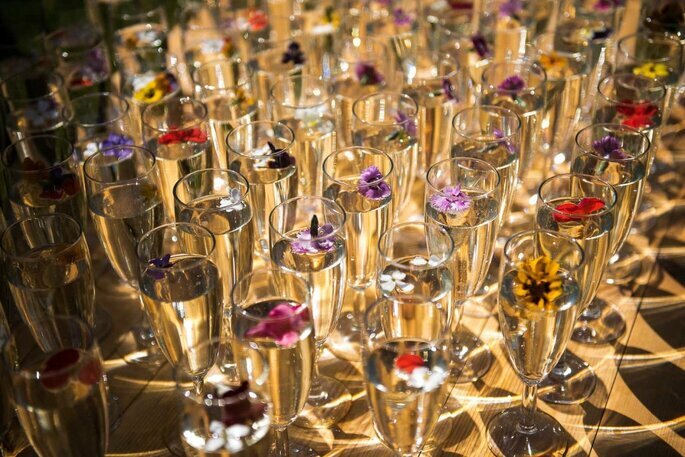 Once you’ve decided on your drinks, talk to your venue or catering company to see what they can offer. 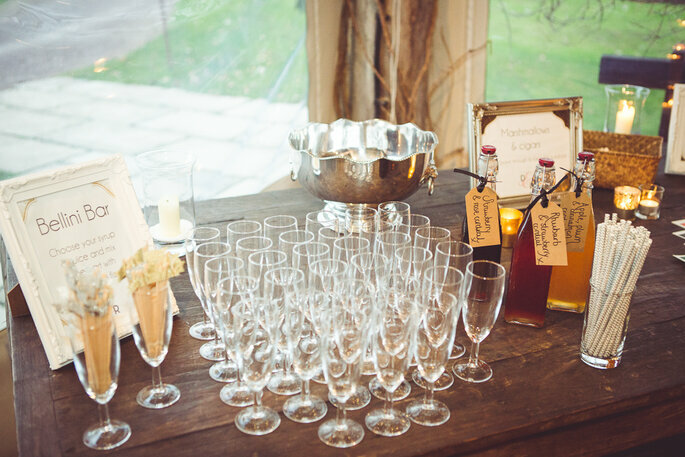 Lots of companies and venues offer barmen who are a dab hand at cocktails, or can arrange for there to be plenty of pre-mixed drinks available for your guests to enjoy. Why not use this as an excuse and give some of these a go? Check them out and see which ones you fancy featuring on your big day, or even which ones you might fancy ordering on your honeymoon!